This bright and beautiful mug is the perfect way to enjoy a cup of tea. 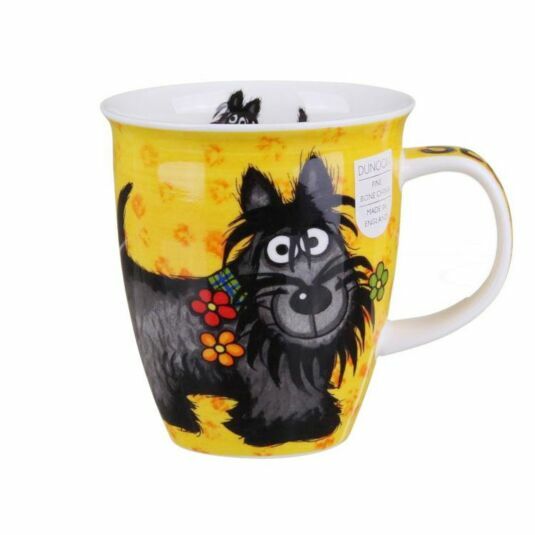 Featuring a Jane Brookshaw design, the mug depicts two happy Scottie dogs on a bold red background, with "Scottie" written along the handle and illustrations of the adorable creature on the inside of the rim. There are two accompanying mugs that make up a set of three playful designs. 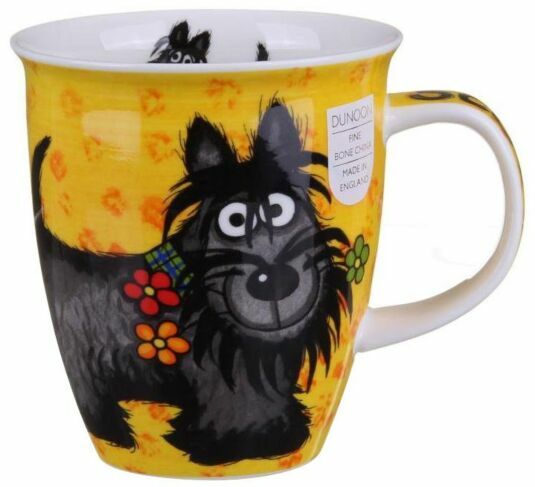 Jane is an artist whose designs feature on many of Dunoons mugs. She grew up on a farm in North Wales, and over the years has won various awards for her designs which now appear on a variety of gift products including mugs. She uses gouache, pastels and acrylics for her work. You will find her designs featured on mugs in the Nevis shape such as the 'Sheepies' range.